When I was a kid, my father used to provide me with a wealth of important “life lessons,” doled out in simple one-liners that I could carry with me as I grew older. 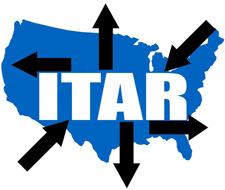 One of my favorites was “If you’re going to run with the pack, make sure you’re the leader.” Another that has served me well throughout life was “Always use the right tool for the job.” The same can be said when it comes to choosing the correct freight forwarder to manage the transport of your ITAR controlled goods. It’s important that you use the right forwarder for the job. As the manufacturer or source of USML goods, you have undoubtedly spent countless hours developing your corporate compliance program; ensuring that every aspect of your operation – from upper management, to sales, to shipping and receiving – is aware of the regulations and well-trained.